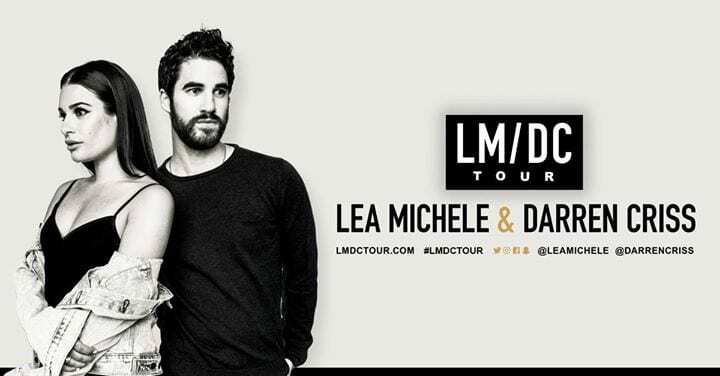 Darren Criss and Lea Michele, both former actors on the hit TV show “Glee,” have announced that they are joining for a co-headlining tour this year across North America. The tour will hit nine cities starting in Nashville, Tenessee on May 30 and making stops in Ohio, Pennsylvania, Washington D.C., Indiana, and New Jersey. The duo will wrap-up on June 10 in Ontario. Although there are two dates in Ohio, shows haven’t been announced at all on the west coast or in New York, leaving fans wondering if more dates will be revealed. Criss and Michele are best-known for their careers on the TV series “Glee,” a comedy-drama which revolved around a high school “Glee Club.” The show focused on social issues, especially sexuality, race, and relationships. Criss played the openly gay singer Blaine Anderson, while Michele played Rachel Berry, the lead and star singer. Throughout the show, both Michele and Criss will perform songs together from Broadway and “Glee,” as well as solo performances from their own separate albums. Although both actors haven’t been seen on “Glee” since 2015, they’ve still made appearances elsewhere. Criss recently starred as a serial killer character, Andrew Cunanan, in the FX series “The Assasination of Gianni Versace: American Crime Story,” as well as the “Hedwig and the Angry Inch” tour throughout California in 2016. Michele held a role on the FOX show “Scream Queens” in 2015 and 2016, as well as the ABC show “The Mayor” last year, but the series is not due for another season. In addition to on-screen performances, Michele released her sophomore record, Places, last year, which debuted at No. 28 on the Billboard Album’s Chart. Similarly, Criss dropped his solo EP, Homework, this past December which landed the top spot on the Billboard Heatseekers Chart. Check out the full list of dates below and visit Ticket Club to find tickets to a show.